Here’s the process by which the federal government can cart away your research materials on behalf of a foreign government without any explanation. Especially interesting: the “without any explanation” part is a treaty obligation, not a product of petty bureaucratic intransigence. The secrecy is built in. But it’s extremely doubtful that anyone meant for that treaty obligation to be used to target academic research, or that the treaty is being applied in the intended manner against Boston College. The British government, and the Department of Justice, appear to be abusing a criminal investigations treaty for what are probably political purposes. In January of 1994, the United States and Great Britain agreed to a Mutual Legal Assistance Treaty (MLAT), one in a wave of similar treaties signed in the 1990s; it took effect in 1996. The treaties gave countries a way to replace letters rogatory, a cumbersome form of judicial communication that operated through diplomatic exchange before they reached cops and courts. You can find the U.S.-U.K. MLAT on pg. 288 of the State Department’s list of Treaties in Force, if you’re into that kind of thing. A manual on tax prosecutions at the Justice Department website includes a chapter that gives a general description of MLATs. Here’s the briefbackground section; here’s the section that describes the “Central Authority” for receipt of MLAT requests, which in the U.S. is the DOJ Criminal Division’s Office of International Affairs; and keep scrolling down from that last link for a description of the purpose, scope, and implementation of mutual legal assistance agreements. But the most interesting section is the one that describes the contents of a request. A country requesting mutual legal assistance from another country must describe the office or agency requesting the information, the crime being investigated, the person or people under investigation, and the intended purpose of the investigation, as well as describing the information being sought. In other words, if the DOJ is seeking a subpoena for confidential oral history records on behalf of the British government, they know exactly who in the British government is seeking those records, and they must necessarily know the crime being investigated. In this instance, that means the DOJ probably has clear evidence in hand showing that the PSNI is “investigating” a murder that they ignored for forty years, and that they’ve admitted they almost certainly can’t bring to court. If the British government is requesting documents that relate to the murder of Jean McConville, then the DOJ knows that, and they have to know that an investigation into the murder of Jean McConville is now a political effort rather than a criminal effort. Unknowingly going forward on those premises is misfeasance. Knowingly going forward on those premises is malfeasance. Of course, a murder is not a political offense. But if it’s apparent that a long-ignored decades-old murder is being investigated with the intent of publicly tying it to a politician, rather than making arrests and securing convictions, then the offense has been politicized; the investigation itself is a political investigation, not a criminal investigation. There is also some good evidence, by the way, that the British government is quietly assisting with a civil lawsuit initiated by a private party, which is exactly what an MLAT is not supposed to do. So as the United States government aggresses against the academic freedom of inquiry, targeting confidential research of great historical significance, and doing so in a way that significantly threatens future research, they’ve promised to do everything they can to hide why they’re doing it. Of course, as I’ve explained previously, the “why” is pretty transparent in this instance. But that transparency comes from our ability to find evidence, not from their ability to explain. Boston College is the target of a politicized investigation, undertaken by political means, that misuses a set of treaty obligations for improper purposes. They should fight in court — but they should also demand that their state’s congressional delegation make some pointed inquiries with the Department of Justice. In a case that is being watched closely in academia, and on both sides of the Atlantic, Boston College has filed a motion in US District Court to quash subpoenas from British authorities seeking access to a confidential oral history project involving paramilitary fighters in Northern Ireland. In papers filed with the US attorney’s office, which delivered the subpoenas on behalf of unidentified British authorities, BC lawyers said the release of audiotapes and other materials connected to interviews with former members of the Provisional Irish Republican Army could jeopardize the safety of those interviewed for the project, the former paramilitary members who conducted the interviews, and BC staff involved in the project. BC’s lawyers also said giving British authorities access to interviews that were granted with the understanding that they would not be disclosed until the participant’s death could threaten other history projects, as well as the ongoing peace and reconciliation process in Northern Ireland. Jack Dunn, a BC spokesman, said BC’s lawyers expect a hearing in US District Court within the next few weeks. He said the court filings were self-explanatory, and that BC would have no further comment. BC officials and their lawyers had been discussing their options for weeks after being stunned by the subpoenas from the US Attorney’s office, which acted on behalf of British authorities whose exact identity is unknown because the order authorizing the subpoena is sealed. In their filings, BC lawyers express frustration that their response to the subpoenas has been legally limited because they don’t know exactly who wants the records or why. Thomas E. Hachey, a University professor of history at BC and executive director of the college’s Center for Irish Programs, said in an affidavit that he suspects the Police Service of Northern Ireland are seeking the tapes and records of what BC calls the Belfast Project. “The fact that these materials are sought by governmental authorities, believed to be the Police Service of Northern Ireland, will almost certainly create needless alarm among otherwise peacefully-reconciled individuals and risks stoking unrest among combative elements of that society who would like nothing more than to see the embers of division fanned into the flames that would consume the hopes of those who seek reconciliation, rather than recrimination,” Hachey wrote. In an interview in Dublin last month, a former senior member of the IRA told The Boston Globe that many former members of the IRA believe the subpoenas are the work of disgruntled police officers in Northern Ireland and are aimed at embarrassing Gerry Adams, the leader of Sinn Fein, the party that used to be the political wing of the IRA. Adams has always denied he was a member of the IRA. The records being sought are interviews with two former members of the IRA, Brendan Hughes and Dolours Price, who were highly critical of Adams’s stewardship of the peace process. Both Hughes and Price have alleged that Adams was a senior member of the IRA, involved directly in killings, abductions, and other acts of IRA violence. Hughes died in 2008. Adams is not mentioned in the BC filings, but some BC officials privately believe the subpoenas are aimed at embarrassing Adams following his election earlier this year to the Republic of Ireland’s parliament. The filings by BC show that British authorities are looking for information about murder, conspiracy to murder, incitement to murder, aggravated burglary, false imprisonment, kidnapping, and causing grievous bodily harm. The subpoenas demanded that BC turn over original tape recordings, “any and all written documents,” and notes and computer records connected to interviews with Hughes and Price. In their motion to quash the subpoenas, BC lawyers argue that the demand for records threatened academic freedom and, in some cases, personal safety. Anthony McIntyre, the former IRA volunteer who interviewed former IRA members for the BC project, said in an affidavit that the home next to his in Belfast was attacked with excrement, in what he said was a case of mistaken identity, after a book based in part on the interviews he conducted with Hughes was published. Ed Moloney, author of the book “Voices from the Grave,” based in part on interviews with Hughes, and project director of the BC oral history project, filed an affidavit arguing that the British request for BC’s records flies in the face of official British government policy, which was to release all paramilitary prisoners, even those recently convicted, after 1998’s Good Friday Agreement ended the war in Northern Ireland. Moloney said that he believed McIntyre and Price would be at particular risk for having violated the IRA’s rule against talking about IRA activities, something Moloney compared to the Mafia’s “omerta.” Violating that rule carries a penalty of death, though with the IRA’s disbanding in 2006 it is a threat posed more by individuals than an organization. McIntyre said Price is suffering from depression and is at risk for that, and for disclosing IRA activities. Underscoring the concern other academics have for the potential precedent in the BC case, Clifford M. Kuhn, an associate professor of history at Georgia State University, and past president of the Oral History Association, filed an affidavit in support of the BC motion. The federal subpoena for confidential oral history materials held at Boston College supposedly comes as part of a police effort to solve an IRA murder in Northern Ireland during the Troubles, with the U.S. Department of Justice acting here on behalf of the British government. As I’ve shown in previous posts, this explanation makes people stand aside and drop their objections: the police are trying to catch a killer, and isn’t that more important than academic freedom? But it’s not at all clear that the Police Service of Northern Ireland is trying to solve a murder, or that they’ve ever especially wanted to solve the murder in question. It’s more likely that the investigation behind the Boston College subpoena is at least partially motivated by current Irish politics, and the available evidence strongly suggests that the principal target is a distinctly political choice. This is the murder that the PSNI is now supposedly trying to solve. But it would require an extraordinary leap of faith to believe that McConville’s murderers can be brought to justice, or that the police intend to do so. First, as the ombudsman’s report makes perfectly clear, no one has ever bothered to investigate this murder in the four decades since it took place. See pg. 3 for the finding that the Royal Ulster Constabulary, the predecessor to the PSNI, never investigated McConville’s abduction; then look at pg. 7, starting at the heading, “The Police Response.” The “first investigation” of this 1972 event took place in 1995, and left behind a “very limited file.” For nearly forty years, no one cared or tried. The ombudsman’s report refers time and again to the difficulty of constructing a narrative out of an event that left almost no paper trail. But suddenly, this case must urgently be solved, academic freedom be damned. This chronology should trigger some suspicion, surely. Then, take a look at this 2006 statement from Northern Ireland’s chief constable, made in response to the ombudsman’s report: “Any case of that age, it is highly unlikely that a successful prosecution could be mounted.” That doesn’t mean it’s impossible; an Alabama prosecutor successfully brought charges in 2010 for a 1965 killing. But the difficulty won’t be surmounted by an oral history interview that was not given under oath or to police, that relays decades-old information, and that will surely be challenged as being at least partially inaccurate. One interview from the project — from an interviewee who died, ending the promise of confidentiality for his interview — has been used in a book; here is a person described in portions of that interview saying, rightly or wrongly, that it’s full of inaccuracies. (See the seventh and eighth paragraph.) I doubt very much that a judge would allow this interview to be used as evidence, although I welcome the opinion of lawyers who know the rules of evidence in British courts. At best, the interview gives police, who have said they would have great difficulty bringing charges in this decades-old murder, a pile of unverified secondhand claims about the actions of IRA members who will still never talk about any of it to detectives. So here’s a thirty-nine year-old murder that was never investigated, and that police in Northern Ireland have said they probably can never investigate successfully. But, I’m repeating myself, suddenly the police urgently need access to a set of unsworn hearsay, because they by god have a murder to solve. There’s just one thing missing from all of these stories: any mention at all of the murderers, or of the very possibility of identifying the murderers. They are all about the claim that Gerry Adams said yes. So extend the story a bit: a murder that wasn’t investigated for nearly forty years, and for which the police have said they probably can’t bring successful criminal charges, is now suddenly being investigated, but the records being sought are not principally about the men and women who committed the act itself, and the records in any case could almost certainly not be used in court as evidence. What’s the use of these records? They’re oral history tapes and notes: they would give the British government the voice of IRA members identifying Gerry Adams as their commander — that is, as an IRA member, a thing he has always (and not very plausibly) denied having been. The timing is surely interesting. Adams led Sinn Fein in Northern Ireland for decades, and was repeatedly elected to the British House of Commons as an abstentionist politician who refused to take his seat. Sinn Fein also tried to develop roots as a political party in the Republic of Ireland, but did poorly; the 2007 parliamentary elections were a disaster for them. More recently, though, as the Irish government committed to an insane political program that drains Irish taxpayers to feed global banks, the taste for Irish nationalism has grown; the 2011 elections were much more successful for Sinn Fein. Among the politicians elected to seats in the Dail Eireann was Gerry Adams himself, who resigned from his seat in the House of Commons (that he had never taken) in order to run for office in the Republic of Ireland. In the Republic of Ireland, Sinn Fein’s agenda is aggressive and plainly spoken, though they lack the power to implement it. Third item on their list of priorities: “Burn the bondholders in Anglo and wind it up.” As a member of the Irish parliament, Adams has also been calling on the government of the Republic to prepare plans for Irish unification. No one really pretends that Jean McConville’s murder can be “solved” — that is, that her killers can be identified, prosecuted, and convicted. No one appears to be trying to do that, and the police in Northern Ireland have acknowledged very plainly they they never did bother to try in the first place. And the oral history interviews of IRA members stored at Boston College are almost surely useless in court. The value of those interviews is that they can do substantial political damage to the most prominent Irish nationalist politician, whose party is gaining momentum. If Gerry Adams was a member of the IRA — and it would not be surprising to see proof that he was — then the fact merits disclosure. If he ordered or approved the murder of Jean McConville, then he deserves to be brought to justice. It is unlikely that he ever could be, except in the newspapers. In any event, if Adams was an IRA member, and especially if he ordered McConville’s murder, then the police should investigate it and prove it themselves. 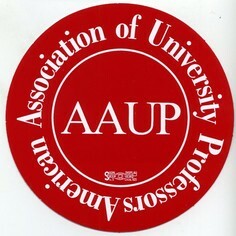 Academics are not police adjuncts. Now: if the British government is trying to breach a promise of confidentiality made by academic researchers, opening a door to academia for government investigators, is this worth it? If Boston College loses, and the tape they give up is used to shame Gerry Adams rather than to prosecute murderers, then academic freedom will suffer substantial damage for the pathetic cause of a political maneuver. See the first page of the motion from Boston College to quash this subpoena: the judge’s order for the subpoena, and all of the records given to the court by the Department of Justice in support of the subpoena, have been sealed. Given that the subpoena is for an interview that speaks to a decades-old murder that police in Northern Ireland have admitted that they never bothered to investigate, that’s a shameful choice. 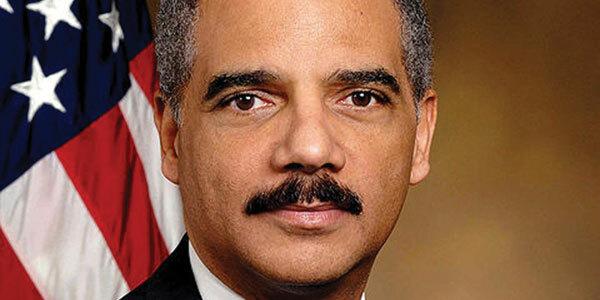 Under the circumstances, the DOJ should be — must be — obligated to explain: why this, why now. I doubt the explanation would be impressive. Detectives in the PSNI have until Tuesday (22 June, 2011) to defend their attempt to gain access to Boston College’s Belfast Project Archive of the taped testimonies of IRA and loyalist figures. Their attempt has shocked academia, particularly those in the field of oral history. It has also caused embarrassment to the British government, which had praised the archive in the American college as a model for Northern Ireland to follow. Only last month, the Independent International Commission on Decommissioning (IICD), which oversaw loyalist and republican disarmament, deposited its records in the archive with the proviso that they would not be disclosed for 30 years. College lawyers have handed over recordings of Brendan Hughes, a former Belfast IRA commander, but he died in 2008. Police believe they contain material relevant to an investigation into the death of Jean McConville, a Catholic mother of 10 abducted from Divis flats, shot and secretly buried by the IRA in 1972. The US attorney is bringing the case for access on behalf of the British authorities, who are in turn processing the PSNI application. 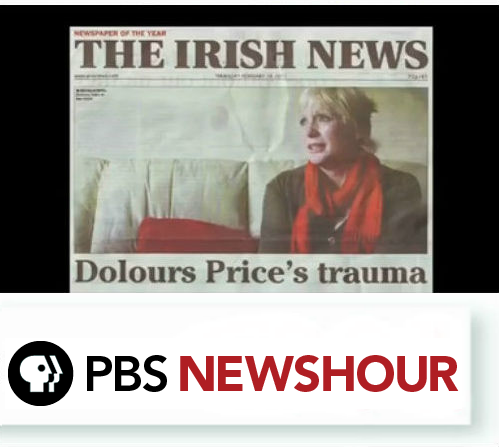 American courts have given them until June 21 to justify their application for tapes made by Dolours Price, a former bomber and hunger striker who talks about the McConville case and other people who “disappeared” when she was an IRA member in the early 1970s. The difference between Hughes and Price, of course, is that she can still be charged or called as a witness against other people, including Gerry Adams, the Sinn Féin president, who was implicated by Hughes’s testimony. Price has told me she will not make a statement or speak to the police. She has been in a fragile psychological state since she was caught returning to Ireland after a bombing mission to Britain and her subsequent hunger strike. Her co-conspirators included her sister Marion and Gerry Kelly, now a senior Sinn Féin figure. Price has been involved in alcohol and substance abuse, and has received psychiatric treatment for post-traumatic stress. She is tortured by her past. In conversation, she veers between pride in her IRA involvement and the feeling that she was trapped into the republican movement by her family background and was not cut out for it psychologically. Her parents were IRA veterans but her most disturbing early memory was of her aunt Bridie Dolan, who died in 1975. She had been blinded, facially disfigured and lost both hands in 1938 when several grenades she was attempting to move from an IRA arms dump blew up. As a child, Price had the task of holding cigarettes for Dolan, and was upset by her instinctive distaste for her aunt’s injuries. She says this impelled her to show loyalty by getting involved in the IRA. Her mistake was to give a long interview, parts of which appeared in the Irish News and Sunday Life, in which she said she had deposited tapes at the Boston archive, and then recounted some of their contents. Police say they are duty-bound to pursue such evidence in a murder case, but there must be grave doubt about its evidential value. Price is a disturbed woman, with a history of psychological disorder, and is unwilling to co-operate. What she has to say may eventually be of interest to historians, who will compare it with other evidence. But can it really be of assistance in a criminal case, where a charge must be proved beyond reasonable doubt? The same goes for Hughes’s account, which has been published in Ed Moloney’s book Voices from the Grave. Danny Morrison, a former Sinn Féin press director, has pointed to some alleged inaccuracies in Hughes’s testimony. For instance, it is claimed that Morrison’s uncle Harry White, a former IRA chief of staff, threw Morrison out of his house because of disagreements over the peace process. Morrison says that, although they did disagree politically, he remained friendly with his uncle and often stayed with him. Lawyers feast on such anomalies, and would certainly pounce on such details if Hughes’s taped recollections were used for prosecution against Adams. The repercussions in academia are seismic. The archive is a blue-chip affair, set up on the initiative of Moloney and Lord Bew, a professor of Irish politics at Queen’s University in Belfast and a former adviser to David Trimble, the former UUP leader. The idea was that paramilitary activists could give a full account of their deeds on the strict understanding that it would not be published in their lifetimes. Professor Tom Hachey, the Boston academic in charge of the archive, believed it would never be subject to court orders. In a court document, the college says it presumed there was an effective amnesty following the Good Friday agreement. The college believed this meant “the British government was going to close this chapter of history and not seek to pursue criminal investigations into events that occurred during the course of the Troubles”. This was not the case, but there was every sign of official approval for the Belfast Project. Owen Paterson, the Northern Ireland secretary, praised its work and said it should be imitated in Northern Ireland. Peter Sheridan, a former RUC assistant chief constable who heads Co-Operation Ireland, said: “There should be an opportunity for individuals to record their stories, as David Ervine and Brendan Hughes did in the Boston College Archive.” He spoke of the need to organise something similar on the site of the former Maze prison. Sheridan is one of the sponsors of an oral history project unveiled at Stormont last week with the support of Peter Robinson and Martin McGuinness. It has received €1.1m in EU funding, and is part of a larger project called Peace Process: Layers Of Meaning, a three-year initiative led by researchers at Queen Mary, London University, in association with Trinity College Dublin and Dundalk Institute of Technology. It aims to record the memories of 100 people involved in peacemaking since the early 1970s. The organisers refuse to confirm any identities, except to say “many of these people were once household names”. Nothing will be revealed for 40 years and participants are forbidden to give accounts of criminal activities. Fears expressed by Hachey that his life would be in danger in Northern Ireland appear misplaced, but there is no denying that the PSNI application has created a dangerous precedent and raises worrying issues about how we will deal with the troubled past. The police do have a duty to follow every lead in a murder investigation, but unless there is protection for academic archives we will be denied the opportunity to create a full historical record. Watch this difference very closely. In American news accounts, the project produced interviews of former republican paramilitary gunmen (and vaguely identified others), and the Department of Justice is trying to get IRA interviews on behalf of British authorities who wish to investigate violent crimes from an era of anti-government terrorism. But in Irish accounts, the project produced interviews of former republican paramilitary gunmen and former loyalist paramilitary gunmen, while British authorities are only trying to reel in the interviews that might incriminate the republicans. An honest effort to examine the era would closely investigate both — the violence of loyalist paramilitaries is well known. This information makes it quite a bit harder to believe that the British government is motivated by a desire to produce impartial justice; as BC’s lawyers wrote in support of their motion to quash the DOJ’s subpoena, the effort to compel disclosure of some interviews but not others is a “classic fishing expedition.” The police project here seeks political ends, not a disinterested settling of all accounts. There are clearly a number of contests going on in this exchange that are not visible to outsiders, and the politics of the matter are not clear to me. But it is absolutely clear that politics is exactly the heart of these subpoenas: someone is out to settle a score, and they’re trying to use a body of academic research to do it. And yet the academic response is unmistakably muted. The haphazard and foolish G.O.P. effort to target William Cronon for political retribution over his engagement in Wisconsin state politics produced waves of frantic commentary decrying the threat to academic freedom. That effort has ended; Cronon was not destroyed, not damaged, not silenced. No one could ever have seriously believed that a distinguished senior historian would be driven to the shadows by some fools with a computer and a postage stamp. But here, the potential chilling effect is perfectly clear, and the political nature of the inquiry is unmistakable. And yet, compare this to this, or thisto this. Why is this subpoena producing so little discussion? ADDED LATER: An earlier New York Times story on the subpoena did note that the BC interviews were of participants from both sides, and the subpoena was only for accounts from republicans. Ed Moloney and Anthony McIntyre surely had their tongues protruding from their cheeks like gumboils when they claimed that they believed they could be killed if the interviews they carried out as part of the Boston College project were handed over to the British authorities. It is such nonsense and a very weak defence when there are better and more proper ethical and academic grounds for resisting the handover – not that Ed or Anthony, it seems, in their haste, properly warned participants that their confessions/boasts/toutings could be seized under subpoena. I would be ashamed to make such a claim, and no one would believe that I believed I would face the threat of death, especially since I had not formerly balked at the prospect and had already profited from the slanders of one dead man against the living. Had a few more of the participants who Anthony interviewed had died, prior to the issuing of the subpoena, nothing would have prevented the fearless and courageous Ed from publishing Volume II of ‘Voices From The Grave’, just as he did with Volume I. What I find incredible is that both Ed and Anthony were well aware of the dangers to the participants given that Ed covered a case against 14 republicans in 1978/1979, including myself, and that Anthony (who was in Long Kesh) would not have been unaware of the prosecution which received much publicity and was taken up by the National Union of Journalists. Indeed, Ed might even have been at the NUJ conference in Portrush which hosted a debate on freedom of speech and condemned our prosecution. In 1977 Tom Hartley, then managing editor of the Republican News, entered into an agreement with an official in the Public Record Office on the understanding that archive material he was submitting (mostly press statements and the notebooks of those of us who wrote for and edited the paper) would not be released for thirty years. However, as the material came in through the front door, the RUC were seizing it and removing it through the backdoor. Once they had compiled what they believed to be damning evidence – in my case, my handwriting and fingerprints on telex messages carrying reports of IRA claims of responsibility – they arrested Republican News workers (as well as Sinn Fein advice centre workers), seized our photographic archive and office equipment, and charged us with conspiracy to pervert the course of public justice and/or IRA membership. For good measure they arrested and charged and imprisoned the printer of the paper, Gary Kennedy of Ronan Press from Lurgan who was a member of the SDLP. The case eventually fell apart and after some time on remand the charges were withdrawn in 1979. Perhaps I am wrong and Ed was on extended holiday during this time and not writing for Hibernia and Anthony was doing no reading and talking to no one in Long Kesh. Since ‘Voices From The Grave’ was published I have spoken to many republicans –some of whom do not support the politics of the peace process nor agree with Gerry Adams – who dispute many of the claims made by Brendan Hughes in regard to ‘D’ Company operations. If Ed or Anthony wishes to talk to them I can set up the meetings. Speaking to them would be more than Ed ever did when he chose to publish carte blanche claims of a man who was not in good health. 1. Could you explain to me what are the exact terms/conditions under which the tapes of Hughes and Ervine were/are to be made available to the public? 2. If there are conditions could you tell me who set them? 3. If there were/are legal concerns, what are they and who advised them? I shall come back to this particular question shortly. As I said, I am a writer and have written historical features and political commentary. 5. Can I have full access to the tapes of Brendan Hughes? If not, can you explain why? 6. Can you explain why in some cases there were redactions in Mr Moloney’s book from Brendan Hughes’ published reminiscences: that is, why incriminating actions were attributed to some named people whilst their alleged accomplices’ names were omitted – or had this nothing to do with Boston College and was solely Mr Moloney’s decision or, perhaps, the libel lawyers at Faber & Faber? I ask this question because Boston College is vulnerable on the issue of academic professionalism and excellence. What if the claims about individuals “who can’t be named for legal reasons” is actually a stratagem, a camouflage, to hide incredulous allegations, inconsistencies or lies that can be verified as such if published in full? The book has been widely reviewed in Irish newspapers, on television and radio, and some of the people named have been asked to comment on allegations, principally those made by Brendan Hughes. In the wake of the book’s publication some victims of the IRA have also called for individuals named in the book to be arrested and prosecuted – though, obviously, they cannot call for unnamed individuals to be arrested and prosecuted which is why I asked about the criteria for naming and not naming people and whether Boston College was part of that decision and bears any liability for the decision to name. In his review of the book in the ‘Irish Times’ Professor Richard English, Professor of Politics at Queen’s University in Belfast, and himself a published author on the history of the IRA, noted, “far more could have been done to test the claims of Ervine and Hughes against sources reflecting very different perspectives”. There are about a dozen references to myself in the book. Neither the named researcher, Anthony McIntyre (who interviewed me for his doctorate), nor the author, Mr Moloney (who has also interviewed me dozens of times), asked me to respond to any of the allegations Hughes made against me. This is in reference to the fact that Harry, my mother’s brother, disagreed with the political direction of the Republican Movement in the 1980s. That much is true but we remained the best of friends and I continued to stay in his house in Dublin until his death in 1989. This blatant lie, which came completely out of the blue, has caused our family and me, hurt and anger. 7. Was it the intention of the Boston College for this archive to be used in this way? 8. Is this the use that the late Professor Adele Dalsimer, co-founder and co-director of the Irish Studies Program, had in mind – for I doubt it? Mr Moloney’s book is full of such examples of attacks on people who won’t sue because of the prohibitive costs or people who wouldn’t succeed in our courts because they have prison convictions. “Moloney’s introduction says that the interviewers for the programme’s archive have followed the example of the Irish Bureau of Military History, which collected statements from War of Independence veterans. “This book then is no mere academic exercise. 9. Why should Mr. Moloney have exclusive access to all of this and editorial control over what is put into the public domain? 10. Can you tell me how much Boston College paid Anthony McIntyre for his work on the archive? 11. Can you tell me how much Boston College paid Ed Moloney for his work on the archive? 12. Is it the case that Mr McIntyre & Mr Moloney have exclusive access to the tapes? I ask this question because Mr Moloney has publicly announced that he is working on an imminent television documentary for RTE, the national broadcaster in Ireland, and that he intends playing excerpts of Brendan Hughes’ voice, that is parts of the actual original recordings. This is of major concern to me and, presumably, many others, including many I have spoken to who have been named in the book in unflattering or incriminating terms but who were never offered the opportunity of rebuttal by Mr Moloney. Sources, to paraphrase Professor Richard English, who hold very different perspectives to Brendan Hughes but against whom Brendan Hughes’ claims were never tested. 13. Do you agree with me that the access to the tapes given to Mr Moloney should be afforded to every living individual referred to in his publication where these references arise from your archive? For example, the extracts used from the tapes are selective. There may be inconsistencies elsewhere. There may also be parts of the tapes that were not published because they are favourable to the individuals being attacked. I am specifically requesting that I receive copies of all tapes as soon as possible and in advance of broadcast of the television programme referred to; or, indeed, in advance of any further public expression of the contents of these tapes in whole or in part. Finally, I was very surprised and disappointed at Boston College’s involvement in the commercialisation of a project which flies wholly in the face of all concepts of natural justice and which has seriously tarnished what was envisaged as a valuable oral historical archive. I would respectively suggest that a serious and fundamental review of the project is necessary. What is remarkable about this reply is that it would suggest that the British authorities under academic guise can send someone in to listen to the Hughes/Irvine tapes in full. No copies may be made? Oooom. So, there you have it – a major mess and a major contradiction, with people who in my opinion stupidly gave interviews, in which they have presumably incriminated themselves (but some with the objective of incriminating others! ), now open to potential arrest and possible prosecution or exposure as telltales in the eyes of their friends and family. Talking about shooting yourself in the foot – though the pathetic, incredulous defence of the authors is that if any more gets out they might get shot in the mouth, which is where exactly their foot is. Is a dumb promise still a promise? In one of the first published accounts of the conflict between Boston College and the federal government regarding oral history interviews of IRA members, a theology professor at the college, Stephen J. Pope, argued that the promise of confidentiality made to interviewees was “at best, naive, and at worst, manipulative.” In this version of events, the project went off the rails at the very beginning: researchers should not have extended a promise of confidentiality to cover information that “has such grave significance for society.” But there’s still plenty of freedom for academic researchers to protect the confidentiality of work that has no significance for society, so no worries. If we can trust the Boston Globe‘s account, the theologian also made a legal argument. As the newspaper summarizes it, the researchers “should have known that what their subjects told them could potentially be used in court, Pope said. The law does not recognize the authority of academics and journalists to keep information confidential, he said.” I doubt the truth of that last statement, in such a broad form, and I doubt that Pope believes it — I suspect some nuance was lost in the interview process. In any case, there are certainly some procedures by which the federal government will agree to protect the confidentiality of research data, even from law enforcement officials. I’ve been hoping to see a post somewhere by someone like Eric Muller or Orin Kerr, academics who have worked as federal prosecutors and can bridge these two different worlds. Please post links in the comment section if you’ve seen well-informed recent commentary on the law that regulates the confidentiality of academic research. I have many objections to this argument, in general and in the particular circumstances present here, but I’ll just offer a few, for now. This information only exists because of the promise of confidentiality; interviewees who have never spoken about their participation in the IRA finally agreed to do so precisely because they understood that their discussions would be held back until after their deaths. If it serves the common good to get at hidden truths about the events of the Troubles, the destruction of confidentiality is profoundly destructive of that common good: when the subjects of historical research understand that historians can be made to work for the police, there will be no more oral history of controversial topics. If you wish to insist that government should be allowed to drink from this well, you have to notice the possibility that the well will probably go dry the moment they do it. How does that destruction of sources serve the common good? It seems to me that in Haile’s formulation, the only way to serve the common good in Northern Ireland is to prosecute bad actors; the police are the only moral actors of consequence, and truth for truth’s sake has no weight against truth for the sake of state-administered justice. This proposed chain of positions, actions, and consequences — researchers possess truthful information about potentially criminal events, so they must give it to the police, so the common good may be served — precisely captures everything that academia is not supposed to be. The premise of academia is that knowledge serves the public good, even if nobody goes to prison. That premise dies when academic researchers hand over their notes and tapes to the government for a criminal investigation. The police should do their own investigations, and academics should do theirs. Muddle that border at considerable expense. Congratulations — you’ve been deputized. You might want to buy some handcuffs. Beats me what any of that means, because Kayyem doesn’t bother to say. Who should provide this greater oversight, and in what form? When does a project implicate criminal conduct, and where do researchers locate the threshold for that determination? If you’re interviewing former Black Panthers, should you just stop right now, or should you wait for them to say something incriminating before you rip the tape out of the machine and run to fetch the authorities? Replace the IRA with Hamas, and the debate still isn’t “theoretical.” Government can conduct its own investigations. Scholars aren’t cops, and aren’t adjuncts to law enforcement agencies. Manning Marable spent years trying to figure out who killed Malcolm X. Should the FBI have grabbed his notes and tapes a few years ago, as a substitute for their own investigation? Robert Churchill, a history professor at the University of Hartford, studies both the early American militia and contemporary militia groups. Clearly, a federal grand jury should start going through his scholarship. Name your own examples — I can think of a dozen of the top of my head. In the meantime, feel free to study any group that has never angered or opposed any government anywhere. Oral history of a Scottish knitting club that firmly supports the police? You are conditionally cleared to begin. But be careful. In a thoughtful op-ed piece, a recent senior official of the Department of Homeland Security encourages academic researchers to immediately hand over to the federal government a set of notes and tapes that will provide evidence of criminal activity. Maybe we can get some of those cool junior federal agent badges as a trade-off. And maybe oral history subjects should be Mirandized. The recent subpoenas issued to Boston College by the U. S. Department of Justice on behalf of the Police Service of Northern Ireland for the interview tapes and transcripts of two former Provisional IRA members, Brendan Hughes and Delores Price, that are contained in the Burns Library collection of interviews of both republican and loyalist para-militaries is a complicated and perplexing development, having legal, moral and professional historical aspects and ramifications. Not being a lawyer, it is above my pay grade to comment on the legal limits or exceptions to the promise of confidentiality until death under which the interviews were obtained by Ed Moloney and his interview team. However, there are other aspects to this imbroglio that merit inquiry and consideration. The issues of why and what individuals are behind this PSNI request is intriguing, and there are various possible motives, some more honorable than others. On the one hand, a desire to damage severely the political influence of Sinn Fein President Gerry Adams by linking him directly to the murder of Jean McConville and others who were disappeared by PIRA seems likely. The request for the interview of Delores Price, who is still alive, suggests this as a motive since Price’s recent interview in a Belfast newspaper implies that she had first-hand knowledge of the circumstances surrounding Jean McConville’s disappearance. Why the British authorities are targeting Adams now seems pointless when they undoubtedly could have done so in the past for other offenses, but probably did not do so once they knew he was attempting to move PIRA away from the armed struggle. Moloney’s book “Voices from the Grave,” undoubtedly contains all of the relevant information contained in Brendan Hughes’s oral testimony. Moreover, although Adams won his Co. Louth Dail seat easily, it is probable that the future path and policies of Sinn Fein in the south will be determined more by younger party members, such as Pearse Doherty, who have no direct association with the northern violence and who are more attuned to the priorities of the southern electorate than Gerry Adams. On the other hand, having done some work with the Families of the Disappeared in recent years, I could not criticize them if they pressed every button and official to find out why and how their loved ones were killed and disappeared. Their concerns may have been the catalyst for this request. British government backing of the PSNI request is especially perplexing given that London and Dublin jointly agreed on Boston College as the most neutral repository for the files of the Independent Monitoring Commission that oversaw the successful decommissioning of the main republican and loyalist paramilitary organizations. The subpoena action is very one-sided since no requests were made for any transcripts of loyalist paramilitaries. Indeed, the request seems especially hypocritical since the British government has resisted up to now a full and open inquiry into the murder of Catholic nationalist lawyer Pat Finucane, and other murders where, as Nuala O’Loan’s investigations showed, there is credible suspicion of Royal Ulster Constabulary and British army intelligence collusion in loyalist para-military murders of Catholics and republicans. Using material from the Boston College archive to build criminal cases against individual republicans while individual soldiers and police known to be implicated in the 1972 Bloody Sunday shootings and the failure to protect Catholic solicitor Rosemary Nelson from loyalist death threats are not held accountable, reflects a double standard of justice. Should the subpoenas prove successful, there could be multiple negative ramifications. Lives of interviewees or those they talked about could be endangered. It would eliminate the use of the oral history method from ever being used again when there is still so much to be learned about the conflict and its traumatic and tragic impact upon both sides of the northern Irish community. 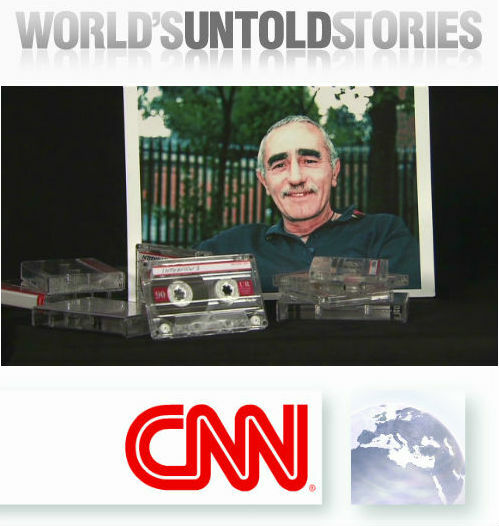 If the tapes were to be destroyed to preserve the confidentiality of the interviewees, as has been suggested, a unique and valuable resource for future scholars will be lost forever. 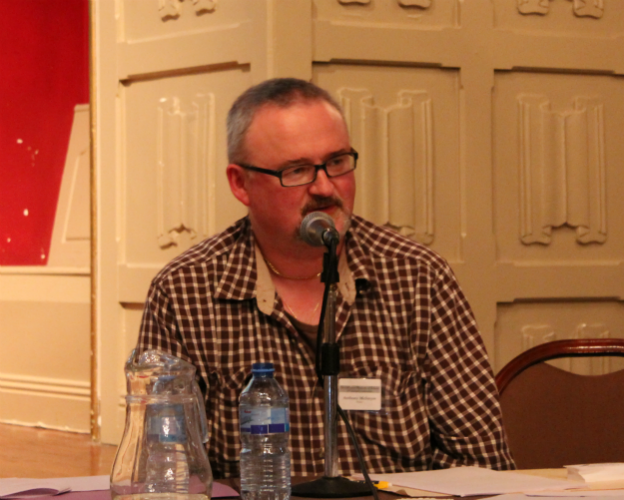 It is significant that one of the originators of the oral history project was Professor Paul Bew of Queen’s University, Belfast, whose politics are Unionist and who served as an advisor to Unionist leader David Trimble before and after the Good Friday Agreement. As a historian with deep and detailed knowledge of the complexities of Northern Irish history and politics, Professor Bew appreciated the huge value and significance that oral interviews of the respective combatants would ultimately bring to a ore complete and accurate understanding of the causes and nature of the conflict. I suspect he would not want this collection to be endangered in any way. As a historian who has conducted oral history interviews of Northern Irish women about their experiences of the northern conflict I have a strong appreciation of the need for confidentiality and why it is crucial to providing credible historical perspective and evidence. Lastly, the British government owes a debt of gratitude to Boston College, which as an institution has been in the forefront of advancing the Northern Irish peace process for at least two decades. The university provided a venue for Unionist politicians as well as loyalists to explain their positions, which gave Boston’s Irish Americans a more accurate understanding of the complexities of Northern Irish situation. With funding from the U.S. government, the Irish Institute at BC has organized numerous programs for Northern Irish politicians, civil servants, and leaders in civic society that have advanced their skills in fostering cross-community cooperation and reconciliation. These programs have played a role in the noticeable improvement of community relations in many parts of the north. Indeed, the oral history project itself is a testament to the institution’s efforts to facilitate reconciliation by providing a way for paramilitaries from both sides to tell the truth about their motivations and participation. Such truth telling is often a way for individuals to eventually reconcile their past activities with personal struggles of conscience and often can lead to an individual commitment to prevent future outbreaks of violence. On balance it would appear that withdrawing the subpoena would provide a greater service to individual and community reconciliation in Northern Ireland than would be gained by the surrender of the Hughes and Price interviews. Catherine Shannon is Professor Emerita of History at Westfield State University. Between 1982 and 1998, she convened six conferences designed to facilitate the constitutional process to resolve the Northern Irish conflict. She has published a number of chapters and articles on the impact of the conflict on Northern Irish women.